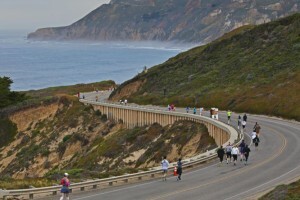 Big Sur International Marathon | JustRunLah! 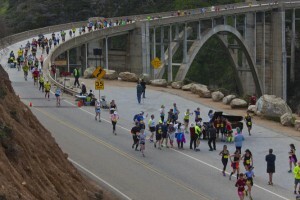 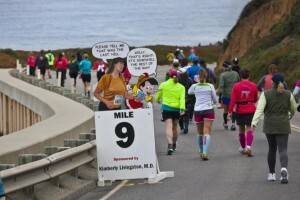 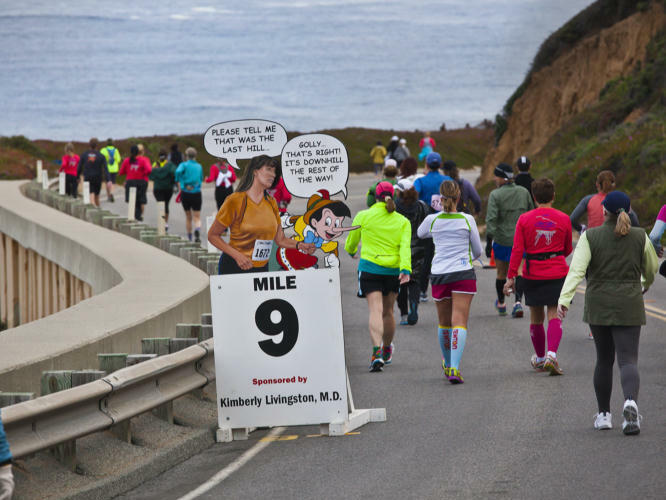 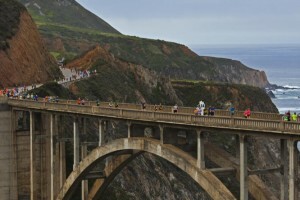 In 2015, the 30th edition of the Big Sur International Marathon drew almost 7000 participants to a marathon that has been dubbed "the most scenic race in the world". 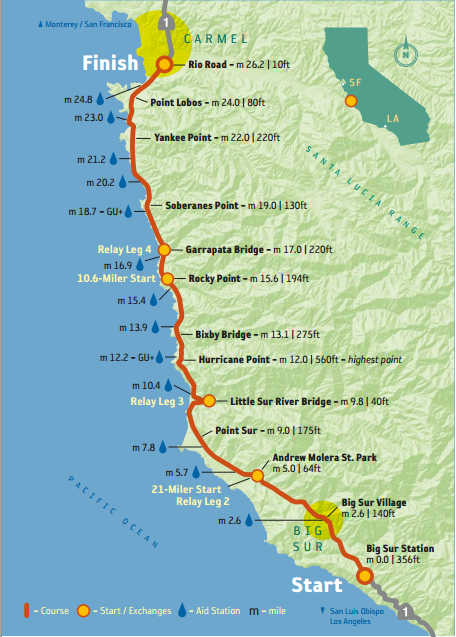 Held in California, the 42.195km starts at Big Sur Station, and the course runs north along the Pacific coast, taking runners through Andrew Molera St Park, Little Sur River Bridge, Hurricane Point, Rocky Point, Yankee Point and finishing in Carmel. 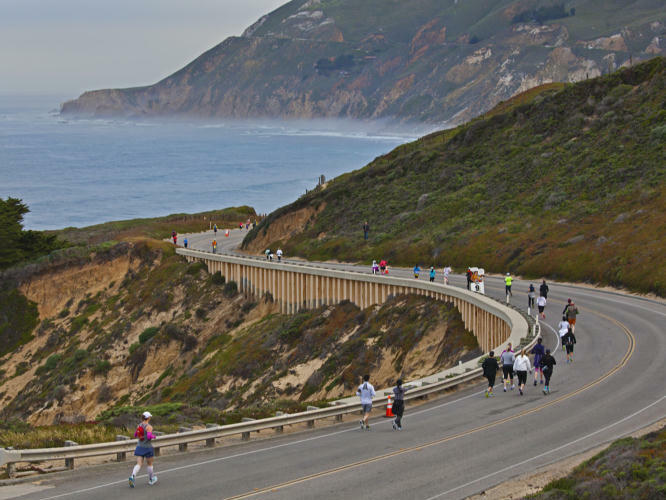 Spectacular views aside, runners are treated to various en-route entertainment, including the famous Piano Man playing on the grand piano. 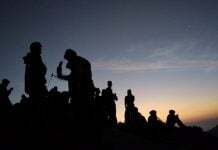 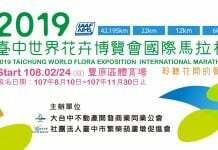 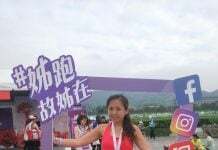 The event also includes a marathon relay, a 34 km race, a 17.1km run/walk race, a 14km race and a 5km run. 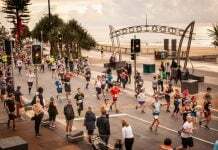 Runners in the marathon have 6 hours in which to complete it. 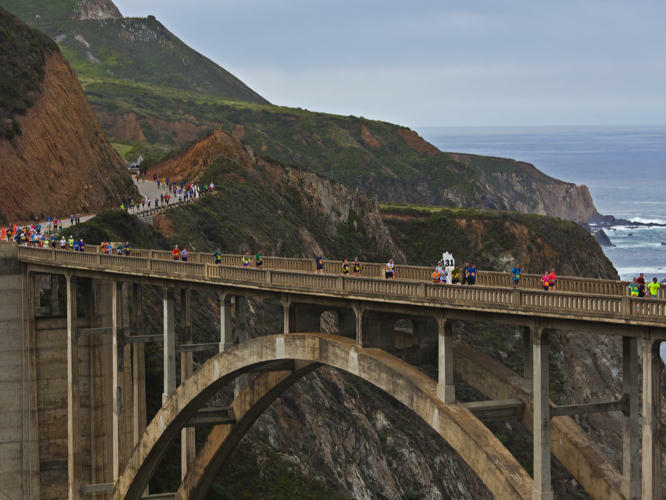 While this cut-off time might seem generous, runners will no doubt want more time to drink in the views, and to tackle the lung-busting uphills and quad-busting downhills. 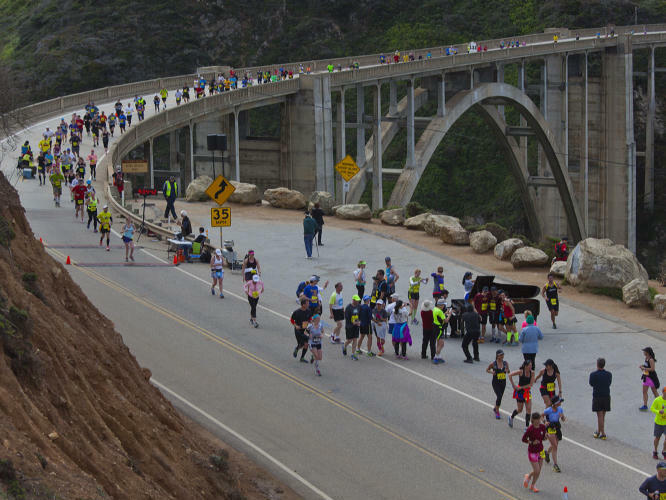 With an ever-growing demand for race places, the Big Sur International Marathon will feature a new lottery-driven registration plan for the 2925 places available in the 2016 race.